That's the takeaway recommendation from a North Carolina State University review paper addressing pesticide resistance published today in the journal Science. "What is the impact on people if these herbicides and pesticides run out?" said Fred Gould, William Neal Reynolds Professor of Agriculture at NC State and the corresponding author of the paper. "Resistance to pesticides is rising in critical weed and insect species, threatening our ability to harness these pests. Weed species have evolved resistance to every class of herbicide in use, and more than 550 arthropods have resistance to at least one pesticide." Some of these "new" solutions are actually old, as the herbicides 2,4-D and Dicamba, developed in the 1940s and 1960s, respectively, are currently getting a second look as possible widespread weed weapons. 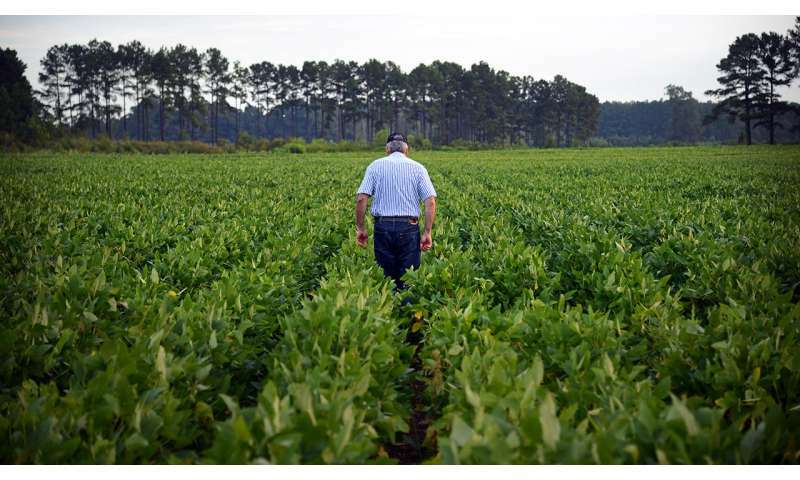 "We're working down the list of available tools to fight weeds and insect pests," said Zachary Brown, assistant professor of agricultural and resource economics at NC State and a co-author of the paper. "It hasn't been economically feasible to develop new herbicides to replace glyphosate, for example, so what's old is becoming new again. But the current incentives don't seem to be right for getting us off this treadmill." Besides ecology and economics, the authors stress that sociological and political perspectives also set up roadblocks to solving the problems of pest resistance. Cultural practices by farmers—whether they till their land or not, how they use so-called refuges in combination with genetically modified crop areas and even how often they rotate their crops—all play a big role in pest resistance. "Any proposed solutions also need to include perspectives from the individual farmer, community and national levels," said Jennifer Kuzma, Goodnight-NC GSK Foundation Distinguished Professor and co-author of the paper. The authors propose large-scale studies that would test the efficacy of a particular pesticide resistance strategy in one large area—thousands of acres or more—and how weeds and crop yields compare to large "control" areas that don't utilize that particular strategy. Farmers would receive incentives to participate; perhaps subsidies already allocated to farmers could be shifted to provide these participatory incentives, the authors suggest. "In the end, are we going to outrun the pests or are they going to outrun us?" Gould said.